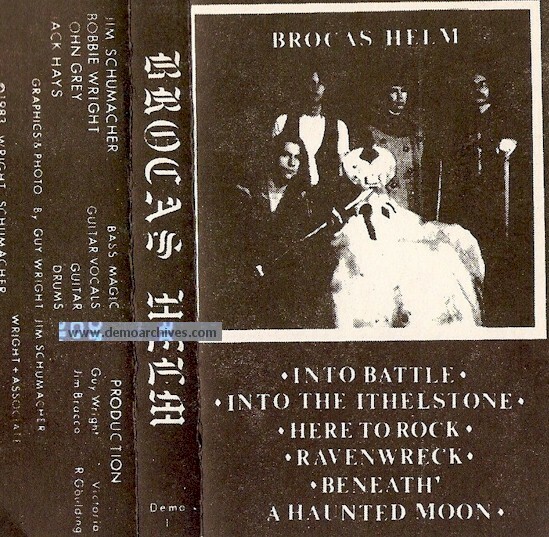 Brocas Helm is a cult power metal band from San Francisco, CA founded in 1982, by Bobbie Wright (guitars, vocals), James Schumacher (bass) and Jack Hays (drums) and John Grey (Guitar). 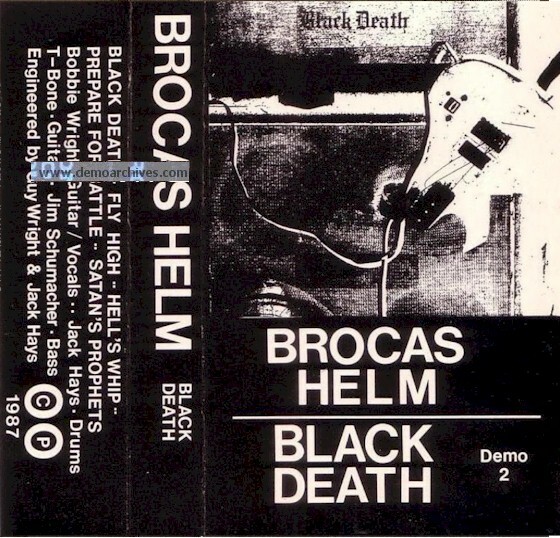 With this line-up, Brocas Helm released their first demo in 1983. In 1984 the band signed with First Strike for the USA and Steamhammer for Europe, and in the same year they released their first opus, Into Battle. 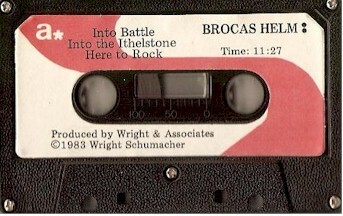 After several disagreements (for example, about the cover used for Into Battle, which was used without consent of the band), they mutually agreed to end the relationship with the labels, even though Brocas Helm still had an obligation for another album. After a lot of searching for a new label that could fulfill their needs, the band decided to create and release a new LP themselves. 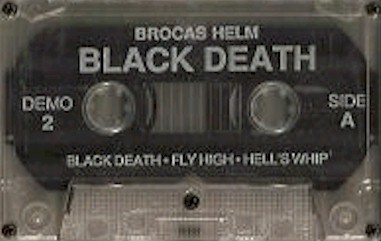 For 5 years, the band worked hard in their "Caverns of Thunder" basement-studio, and the result was the album Black Death (with Tom Benhey on guitars). Pro-printed cover (heavy paper). Studio tape with a printed sticker on the shell. This demo was self-released by the band. Pro-printed cover (glossy paper). Pro printed cassettes.